S.R. Hello Katie and thanks for having me. My name’s Sierra and I wish I could say that was my given name but alas it’s a penname. I live in rural Eastern Ohio where I’m taking care of my Mother and living with three spoiled cats who like to think they’re more human than we are and a semi-fierce Beagle who thinks he’s a Pitbull but is scared of the cats. 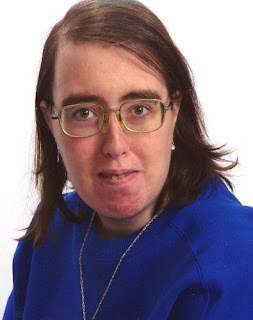 I’m disabled with failing vision so I guess I’m as much a full-time writer as I can be. S.R.My biggest writing quirk would probably be I do most of the book plotting in my mind while asleep. The chapters and scenes often come as dreams which I then have to hope I actually remember the next day. I rarely outline anything since my characters tend to change plots rapidly. I can have a perfectly well thought out chapter going nicely when one of the characters will suddenly develop another sideplot that changes the whole thing. S.R. I’ve always wrote. Even from a young age I would doodle stories that were in my head. Living in a rural ex-coalmining town with nothing to do and few kids the same age will cause you to think of things to amuse yourself. That’s what I did. It wasn’t until Freshman year of being tutored that I realized that I wanted to write. The desire came from just wanting enough extra credit to get out of Senior English. I have the imagination and creativity to write but lacked a tutor with enough English skills to do me or the course justice. In fact, that first novel is still sitting in a file cabinet waiting to be rewritten. S.R. That depends on my mood. These days I flip between paranormal romance and action adventure. Before last year, my genre was always action/adventure and I’m still wondering where the urge came from to go into the paranormal. S.R. Wow, that’s a hard one. A desire to get the stories out of my head inspired me most since it gets tough having too many plots in your brain at once. At for favorite author, I’ve read so many wonderful authors it’s hard to choose. Nora Roberts is definitely one of the top. She was the first romance book I ever read since I used to firmly avoid romance novels until I was probably sixteen and picked up one of hers. I like how she can take pretty near any plot, character or setting and make you care about the story. I also would have to name the late Don Pendleton as a top fave. His skills at taking a character that normally should have been labeled a villain and making a reader care about him and the circumstances really was impressive for me. S.R. My Mother copes with it, since she has to deal with the typing at all hours of the day and night and she enjoys reading the stuff that I actually show her. The rest of the family thinks it’s a waste of time and energy which can be somewhat discouraging when you can’t even get your family to buy a book, lol. Needless to say I don’t talk to them much about it. S.R. That between weapon books and books on witchcraft, the library will think you’re weird after awhile if you don’t explain it to them. No, honestly I’d say one of the more surprising things I learned was to have a genuine respect for the subject of the book. Between brushing up on the Irish language, or the history of magic, it’s important to have respect for the story and the research. S.R. 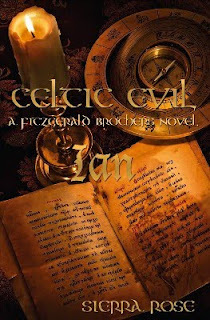 For Celtic Evil, I was actually planning a new action book when the plot took a paranormal twist one night and the first book, Roarke’s title, expanded into a five book series. There was no real inspiration, just a really cute Irishman as a character and soon he had brothers and it went from there. Ian Fitzgerald’s entire life is a lie. At eighteen, he’s attending University, has a loving foster family and dreams of becoming an actor. This fantastically normal life comes to a sudden halt when he learns the truth of his life. From the day he was born he was a part of a prophecy made long ago, a prediction that had other plans for his seemingly normal life. He was to join with his four brothers in overcoming a deeply set malice that threatens to kill the Fitzgerald Five. Held captive by the evil that tore his outwardly normal life apart, Ian discovers that those closest to him weren’t there by coincidence, but part of a larger plan to destroy the predictions made long before his birth. Having witnessed his older brother Roarke’s completion of one portion of the prophecy and learning the truth behind the murder of his biological mother and father by the doings of the evil and deadly Sebastian, Ian realizes his fate and becomes active in achieving his destiny, fighting to protect not only his own life, but also the lives of his best friend and love interest. S.R. It’s available on Amazon.com as both a paperback and Kindle, also as a paperback and ebook on Barnes&Noble.com and as an ebook on Smashwords. It also has an ebook version on Goodreads.com. The same with my other novels. I enjoy chatting and friending readers and other authors. S.R. Don’t give up on your dreams. People may tell you that you aren’t smart enough or talented enough to write a novel but so long as you have that burning desire and a story in your heart then you can write a book. It’s hard work but worth it if you stick to your guns and don’t allow anyone to stomp you down. Sierra has made available ONE a free copy of her book! Sierra will pick one lucky winner (at random) from the comment section. Thanks for the heads up Katie! This somehow missed my radar ::kicks said radar a few times:: Celtic and Paranormal?! Definitely worth checking out.